Involving yourself in outdoor activities has more benefits than you may know. You will note significant improvement in your physical as well as your mental health. Your intellectual might is also likely to improve since you will learn more from your interactions with others and a new environment. One of the activities that you may undertake is fishing. Not fishing in a huge ship and nets but the recreational type in which you will use a fishing reel. However, you are likely to encounter several challenges in the set up of a fishing reel. For instance, many anglers do not know how to avoid twists while spooling their reels. 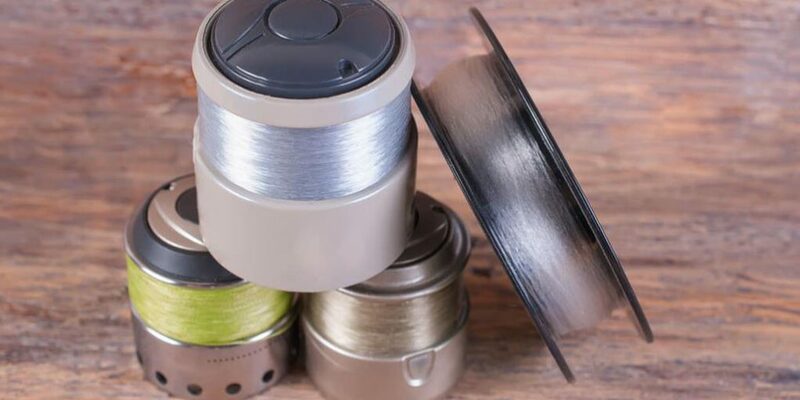 Do not worry, we are going to guide you on how to avoid twists while spooling your reel. Start by putting the spool down with the label facing upwards. Place your spinning reel over your new line and let it rotate for a while. The spool should rotate clockwise when you turn the handle. At times, the bait starts spinning as soon as you dangle it from the tip of the fishing rod. Do not stop the spinning; rather let it continue until it stops itself and will remove the simple twist which had occurred. If the twisting is more complicated, roll out a long line behind the boat without anything tied to it and drag it for a short while. The line would untwist itself as you increase the speed of the boat. Alternatively, you can release the unattached line to water flowing downstream and hold it in the water for a few minutes. The line would just untwist itself. You may need a companion to be sure that you have done this correctly. The individual should hold one end of the spool or place it on the ground while you do the opposite. You will notice the line coming off the spool in the same direction once you start reeling. To avoid any potential twists on your line, press the reel down with your fingers to exert more pressure. This tension ensures that the lines remain just tight enough. You should insist on using new spinning reels with huge revolving line rollers. You will notice that line twists in the older reels are caused by the simplest of actions. Newer reels tend to have features which reduce the chances of line twists. These include a much larger surface, rollers having grooves and roller slopes which are much sharper. The larger surface area prevents the line from turning over unnecessarily. Such loops tend to get on the spinning reel spool and get entangled with the line. If you had used a poor technique in angling, then your chances of getting loops are much higher. Also, if the reel bail continually moves backwards, then an errand loop may be created. To fix the loop, ensure that you have released just enough line that would get to the loop and finally re-spool the line with enough tightness. Also read: How to Clean Fishing Reels: Are You Doing It The Wrong Way? This would ensure that the line is able to have resistance against the water currents which normally leads to twists and loops. The use of light baits may also mean that the line would not have enough tension to withstand any pressure or resistance from the water. It may be normal for you to let the bait hang several inches below the rod tip. This increases the chances of the rod snapping and you may lose your bait in the water. To prevent this, the bait should be as close to the top guide as possible. You may find that the baits keep on getting tangled with the line. To prevent this, the casts should be of as low trajectory as possible. Preferably, stick with sidearm casts. If you are using a nylon line, stretching it would prevent the problem from ever occurring again. You have several options on how to go about it. You can tie the line to a round object and then use your hands to pull it. Another option is luring a bigger catch, although this is beyond your control. Warm water has a relaxing effect on the line. This would severely reduce the chances of the line having coiling-related issues as well as improve your casting experience. At times, you may notice a tangle or a loop but instead of fixing the problem, you continue reeling it as it is. This may make the fishing reel completely inoperable. So, just take a break and fix the problem before proceeding with the fishing. This is a swivel which the bait is directly tied to. This prevents it (Bait) from excessive rolling which tends to contribute to the line twists occurring. You may at times be tempted to turn the handle whenever the drag starts slipping away. Well, you should avoid this at all costs since it only increases the twists on the line. We also thought that we should briefly mention the types of lines that you can find out there, and all have different strengths. These are single stranded and are the cheapest you can find. They are quite flexible and this keeps the hooks firmly in the fish’s mouth. These lines have several materials woven together to create a single strand. They last longer but cannot be used in casting the lures far. These are quite popular as they are quite efficient. They are less visible for the fish and tend to last longer than the other two. We hope that the tips above are going to help you enjoy your fishing expedition with less interruptions and difficulties.